You do not need experience to volunteer on a Care project in Senegal but you do need energy, enthusiasm, and a commitment to seeing the work through. As a Projects Abroad volunteer, you can choose to work in a kindergarten or at our day care centre (also known as a Talibé centre) for street children. Projects Abroad’s Care projects in Senegal are based around four hours north of the capital city of Dakar, in the town of St Louis. St Louis is perhaps the most 'French' of all Senegalese towns. You will need to have at least a basic knowledge of French before you arrive or be willing to take a French course before or during your Care placement. Senegal has a large number of street children, known locally as Talibés. These children receive no formal education and are forced to spend much of their time begging for scraps of food and small change. 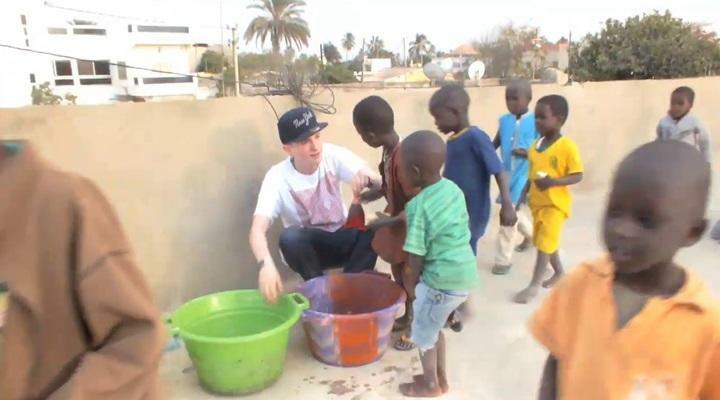 As a Projects Abroad volunteer in Senegal you are sure to encounter them in your day-to-day life. We have set up a centre to help these children and as a care volunteer you have the opportunity to work at this centre. The work at the drop-in centres involves four main areas; education, health care, sports and leisure and practical refurbishment or clean-up activities. The volunteers follow timetables in order to ensure that the children are exposed to these different areas on a regular basis. You can get involved with a variety of different activities from administrating health care to distributing food to the children. You may also want to help the children with activities such as brushing their teeth and washing their clothes, and just spend time with them drawing pictures, doing arts and crafts or organizing sport activities. This centre ensures that the street children stay healthy and are taught basic life skills in order to help them in the future. The local kindergartens are open from 8.30am until 1pm for children aged from 3 to 6 years old. Many parents are eager to send their children to these kindergartens, and it's not unusual to find classes of up to 45 children. As well as being overstretched, teachers tend to be poorly trained, and have very few ideas as to how to work productively with such large numbers of children. Volunteers at the kindergartens may find themselves working alongside local staff in the main classes, or taking smaller groups of children aside to focus on specific activities. Your duties will involve teaching basic numeracy, teaching songs, building vocabulary in French and English, and organizing arts and sports activities to improve coordination and motor skills. You will have an important role in adding to the staff's repertoire of songs, games, and activities. This will ensure that your contribution lives on beyond your placement. The children themselves will be particularly appreciative if you prepare coloring-in sheets or organize arts and crafts sessions. All of the volunteer care projects in Senegal are keen to have volunteers with fresh ideas and energy to help the permanent staff. Our local staff will work with you to help make the most of any particular skills or special interests - artistic, dramatic, sporting, or other - that you have, and you are sure to return home with many more. You can read more detailed information about the aims of the project in our Senegal Care Management Plan. You can join a Care project in Senegal for two or three weeks if you don't have time to join us for four weeks or more. This project has been selected by our local colleagues as being suitable for short term volunteering for both the host community and the volunteer. Although you will gain a valuable cultural insight and work intensely within the local community please be aware that you may not be able to make the same impact as someone volunteering for a longer period.